PLUS a Big Thank You to all of the Bloggers Helping to Promote this Giveaway to Their Fabulous Readers! 1 Lucky Winner Will Win a 1byone Belt Driven Bluetooth Turntable with Speaker in Natural Wood Or Black! $150 RV! This giveaway will end at 11:59PM (EST) on 07/01/2016. Deliciously Savvy did not receive any form of compensation for this giveaway other than receiving this item in order to facilitate my review. Once winner is selected via the Rafflecopter process, the product will be shipped. Winner has 48 hours to respond or another winner will be chosen. No other blog associated with this giveaway is responsible for the product shipment. 1ByOne will be providing the prize above to the winner. Thank You for stopping by! Any Questions or Concerns email me at mcushing7 (at) hotmail (dot) com. I have quite a few vinyl albums stashed around the house with nothing to play them on. I would love to win this! I would like to see the byone 7-Inch Colored LCD Touch Screen Video Doorbelln in a giveaway, I love a techie toy! I still have my father’s old vinyl (as in Elvis and bi band old, but nothing to play them on!. My Dad still has a ton of old jazz albums stashed away. I would love to be able to make all that old music more accessible for him. I would love to see the 1byone 9,000 mAh 12V Multi-Function Smart Portable Car Jump Starter as a giveaway. Anyone with a car could use this to jumpstart their car. I’dlove to see an Ultrasonic Cool Mist Humidifier and Aroma Diffuse in a giveaway! It would be neat to have a humidifier that diffused oil as well. Plus the color changing would be really cool too! I would love to have this turntable because I have so many albums I would like to play and can’t. The turntable in brown wood would look nice in my living room. I would love to get the 1byone Ultrasonic Cool Mist Humidifier and Aroma Diffuse from the website. 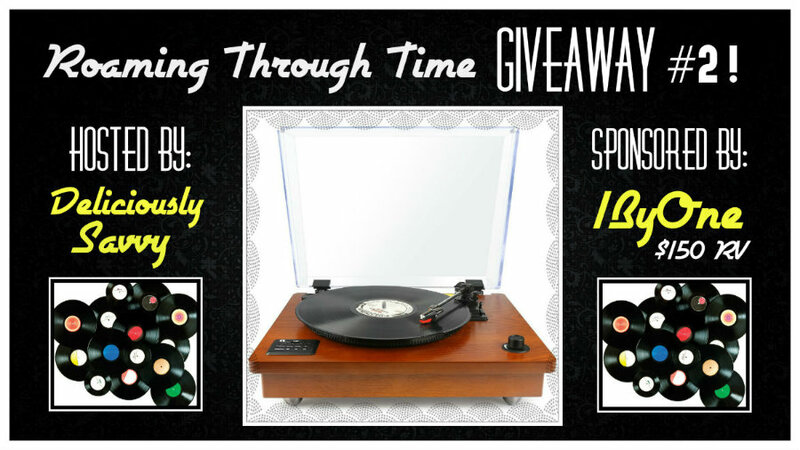 I would be happy to win this for my daughter who is looking for a turntable. I would like to own the 1byone Amplified Indoor HDTV Antenna for UHF/VHF/FM Thin Flat Design; I think it would be great to have this turntable. I like the 1byone Ultrasonic Cool Mist Humidifier and Aroma Diffuse! I’d love to win this amazing turntable as a gift. So many albums still hanging around, but nothing to play them on!